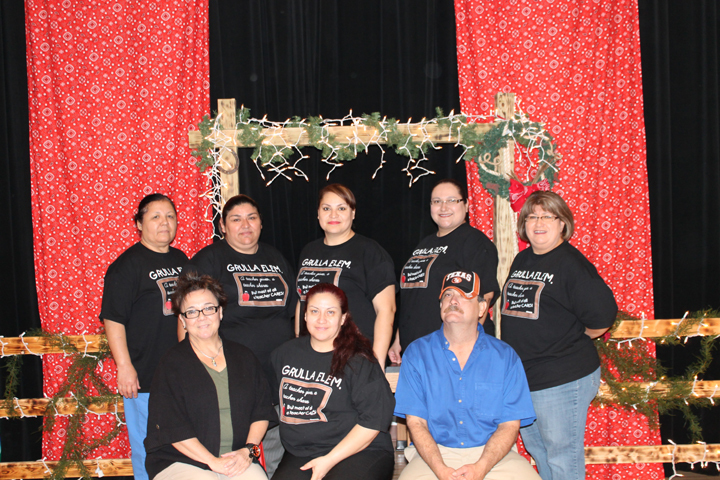 Grulla Elementary was announced as the winner of the annual holiday decorating contest sponsored by the Rio Grande City C.I.S.D. Child Nutrition Program. Several campus cafeterias participated in the event to decorate their dining hall and serving areas in order to create a festive and warm atmosphere for the student to enjoy. Judges were selected from throughout the community and visited the schools to view the great work put together by staff. Nutrition themed messages were emphasized throughout the serving area and students were delighted to enjoy their meals in a room filled with much creativity.